Yesterday, ClassPass announced that they’ve nixed their Unlimited membership option. Spoiler: People are NOT happy. 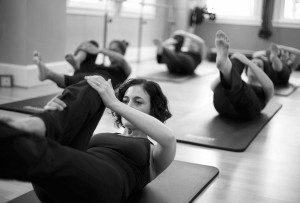 By Adjua Fisher·	 11/3/2016, 10:30 a.m.
ClassPass announced yesterday that they’ve nixed their Unlimited membership option, which gave users access to however many classes they wanted to take at select studios around the city (with a cap on how many classes you could take at each studio) throughout the month, satisfying easily bored fitness junkies all over. Long story short: ClassPass users are NOT happy with this announcement. This comes after the company announced a pretty hefty price hike on their Unlimited membership back in May. People were also pretty peeved about that announcement, but it seems, even after upping the membership price, the business model of offering unlimited classes just wasn’t sustainable. ClassPass founder Payal Kadakia posted an open letter to the ClassPass community explaining why the Unlimited membership, which was originally just a summer promotion to gain members, simply wasn’t sustainable. An excerpt from the letter below. 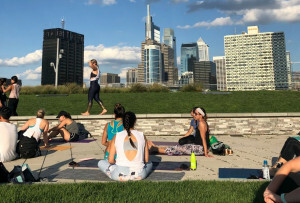 Now, the company will offer their Base membership, which gets you five classes a month for $55 and their Core membership, which gets you 10 classes a month for $95 in Philly. They introduced their Core membership this past spring, when they upped the cost of their Unlimited membership. Back then, ClassPass’s head of public relations told us that most of their members never exceed 10 classes per month, so they were trying to give folks an option that was more in line with their needs. To give you an idea of how fitness junkies are taking the announcement, Kadakia’s open letter, which was posted to ClassPass’s Facebook page yesterday, has over 650 “reactions,” and over half of them are the red angry face. The words “disappointed” and “cancel” come up a lot in the comments section, which has over 500 comments as a type this. The good news is, according to ClassPass’s Facebook responses to disgruntled members, if you had a ClassPass Unlimited membership, you will get to keep your Unlimited membership for the next cycle and after that, you’ll get 10 bonus classes each month for the next three months. 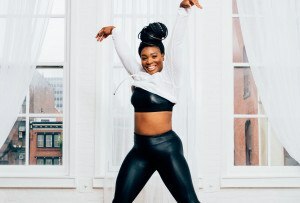 And if you happen to be one of those disgruntled Unlimited ClassPass users, I’m going to say something that might induce an eye roll: It really does seem the deal — $145 per month for unlimited classes at some seriously bougie fitness studios around the city, where classes can go for upward of $25 a piece — was a bit too good to last forever, doesn’t it? After all, if you take five classes a week, or around 20 classes a month — which some angry (and impressively fit) users in the comments section on that Facebook post say they do — that comes out to just $7.25 per class. But then that begs the question of whether or not ClassPass ever should have offered the membership as anything other than a limited-time promotion, also. 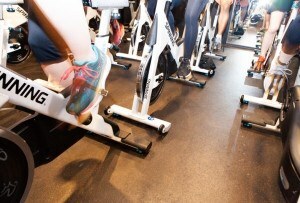 So, our question to you: Will you be keeping your ClassPass membership or figuring out another way to satisfy your A.D.D. workout tendencies?